Will compliance or non-compliance cost you more? Compliance doesn’t come cheap. And with an ever-increasing list of regulations to comply with, alongside a growing focus on firms’ ethics and demands for more transparency than ever, the time and money spent on regulatory compliance looks set only to increase. If you decided that you wouldn’t try to meet the standards your regulator sets? If you made a conscious decision not to keep pace with legislative or best practice requirements? Would the costs of non-compliance be lower than the costs of compliance? As you and your team know only too well, complying with regulation can come at a significant cost. At a macro level, your board and directors need to make decisions on governance issues and the firm’s strategic approach, all of which takes up their costly time. Once a direction has been decided, your team needs to implement the strategy. Whether this is managed wholly in-house or partly outsourced, there is an associated cost. The direct cost of the team; the out-the-door spend on any external support. Increasingly, Compliance teams are turning to technology solutions to help them. Automated solutions can help to make regulatory compliance an in-built step in your processes, making it easier, quicker and non-negotiable. This technology also costs (although in many cases, your investment in compliance technology can pay for itself in terms of the benefits you achieve). What about the costs of non-compliance? So naturally, regulatory compliance has a price tag. But how does this spend stack up against the potential costs of regulatory breaches? Failing to comply with standards can have a heavy penalty. A breach of the GDPR, which came into force in May last year, for instance, can lead to fines of up to €20m (£18m), or 4% of the firm’s worldwide turnover. If you are regulated and authorised by the Financial Conduct Authority, its fines rose tenfold from 2016 to 2017, demonstrating a willingness to penalise and publicise firms’ regulatory shortcomings. And when we look at the indirect costs of compliance, they can also be significant. The Senior Managers and Certification Regime, for instance, puts the emphasis on personal responsibility – not just for designated Compliance Officers but across relevant senior management. Increasingly, firms are reaching the conclusion that compliance is everyone’s responsibility – with senior level time and energy expended in line with their increased involvement. Then there is the opportunity cost: a regulatory breach may cost your company business. With compliance and brand intrinsically linked, you can’t afford to underestimate the impact any failing in governance might have on your commercial performance. In many areas, complying with certain rules is non-negotiable. Breaches will lead to fines, negative publicity and – in the most extreme cases – being prohibited from running the business. Conversely, good governance can give you a business advantage by enabling you to compare favourably to your competitors. Although the costs of meeting regulatory requirements can be significant, the direct and indirect costs as well as the possible losses of NOT complying can be far higher. If your conclusion is that the potential cost of non-compliance isn’t worth the risk, what should you do to ensure you and your firm meet regulatory requirements? Assemble the best team you can. Make your approvals process as efficient as possible. Ensuring compliance is a built-in element of your financial promotion production process is a good way to make it more streamlined, as well as more robust. Automating the review and approvals process can achieve significant efficiencies in terms of cost- and time-savings. If you’re going down a high-tech route, make sure you are minimising your digital risks. Make your governance processes as cost-effective as they can be. There is clearly an associated cost to regulatory compliance. But the financial implications, both direct and longer-term, of failing to comply with regulations or ethical best practice can far outweigh the preventative cost. 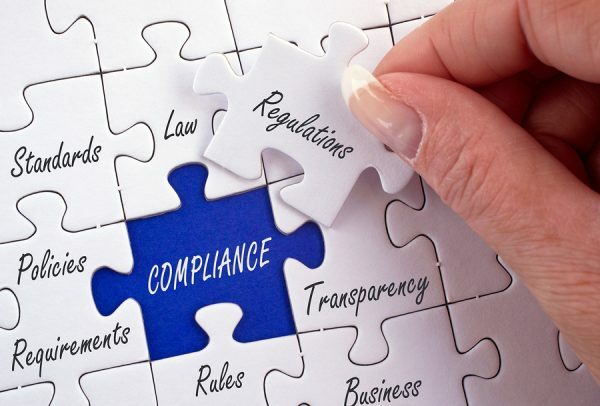 Making compliant approaches part of your organisational fabric can help here, whether that’s in terms of mandating compliant content or approvals via automation, or putting in place a corporate ethos where good governance is ‘the done thing’. If you need help with instilling a compliant environment into your organisation, you might want to get in touch with us. Too many regulatory compliance and marketing consultancies provide a range of stock or off the shelf services, but we provide bespoke services at a standard. We work both within individual teams and across many departments to offer a complete solution, with a range of cost effective, compliance and marketing solutions which are uniquely suited to supporting firms.